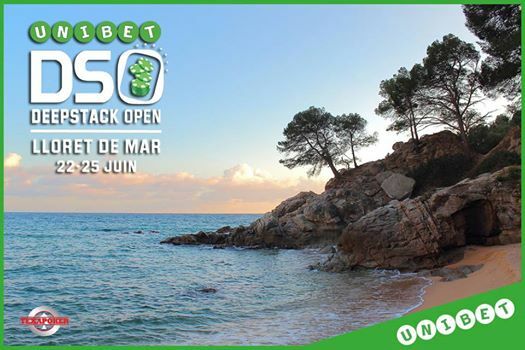 The Unibet DeepStack Open is heading to Spain next week with a return visit to Lloret de Mar for the first summer festival of the season. Sun, poker, tapas and amazing parties are all on offer at the event which runs from June 22 to 25. The next Unibet Deepstack Open is in popular Spanish resort of Lloret de Mar on the Costa Brava in Spain from June 22-25. For its first summer tournament, Unibet DeepStack Open returns to Gran Casino Costa Brava for a weekend of poker, parties and sun-drenched beaches. With an average 300 players on previous years, the Unibet Summer Break event promises a great turnout! The €550 Unibet DSO Main Event buy-in allows passionate players to take part in an international poker tournament without breaking the bank; the tournament structure was created with the help of international tournament director Matt Savage. Other events on the the Unibet DSO Lloret schedule includes a €1,000 High Roller, the €200 DSO Classic and €200 Omaha tourney. Lloret de Mar is located 40 minutes away from Girona airport, which serves mainly a Ryanair flights, but you can also get there from Barcelona airport: 1 hour by car. 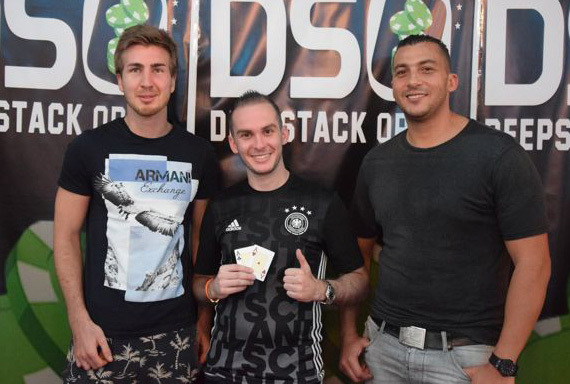 French player Sonny Franco took down the last Unibet DSO after cutting a three-way deal in Marrakech with Belgian runner-up Pieyre Maggi and serial Moroccan player Anas Tadini. Franco’s victory confirmed his nickname as the “small prince of Morocco”. He also had a deep run in the PokerStars National Championship in Monte Carlo, finishing 11th for €12,000. His best cashes to date include runner-up in the Belgian Poker Challenge in Namur in 2015 for €85,297 and third at FPS Lille the same year for €60,100. His total live tournament winnings now amount to close to $650k. Join us in Spain for the next Unibet Deepstack Open in Lloret de Mar on the Costa Brava in Spain from June 22-25. The rest of the year’s schedule include a trip to one of Europe’s liveliest poker destinations, Malta, from July 27-30, USDO Gujan Mestras in August and UDSO Vienna in September, USDO La Grande Motte in November and the Unibet DSO Final in Divonne Les Bains next January.